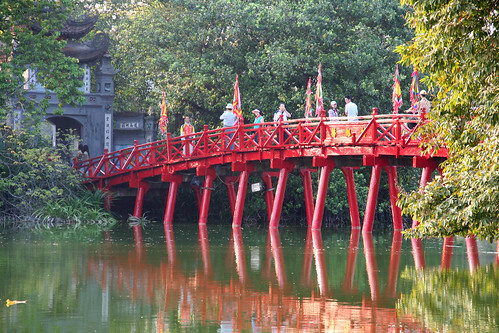 Hanoi is Vietnam's capital and the country's second largest city after Ho Chi Minh City (Saigon). Located 1,760 km (1,094 miles) north of Ho Chi Minh City, Hanoi is quieter compared to its southern rival but still vibrant and fascinating to any visitor. Furthermore, the influence of Chinese and French culture is very strong in Hanoi from the city's long history of foreign occupation. More at Guide to Hanoi. 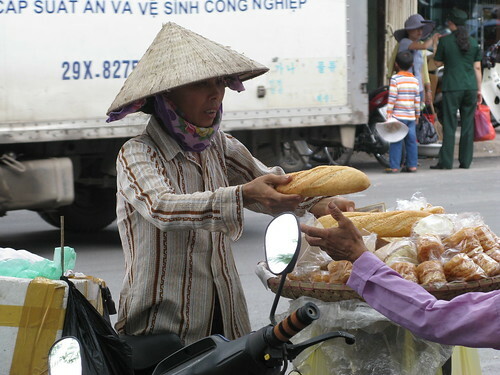 Vietnam may be free from French occupation but the love for French food has not disappeared in Hanoi. Popular are the freshly baked baguettes, pate sandwiches, pastries and strong aromatic coffee. The Old Quarter in Hanoi dates back to the 11th century, where skilled craftsmen once lived and practiced their trade. Today it is one large marketplace of 36 narrow streets with enormous diversity and traits. There is no better place to learn about Vietnam's rich history and culture than the museums in Hanoi. There are several interesting museums including the Army Museum, Hanoi Museum and Ethnology Museum. Hoan Kiem Lake and the park surrounding it is situated in the city centre and a short distance from the Old Quarter. The lake is one of the most scenic areas of the city and a popular recreational spot.